Deckhouse opened in early July 2010 and it’s evident from the dining experience. The café hasn’t quite grown into its venue, which seems to be a restored boat shed at Woolwich dock. If you do manage to find the café (you have to walk past a boom gate and down the road) the views are stunning. This quiet part of the harbour has glimpses of the Harbour Bridge, parts of the working dock and of luxury yachts cruising by. The views almost made up for the slow and inattentive wait staff we encountered. We were given glasses of water but waited another 15 minutes for our orders to be taken. The waiter didn’t know what items were on the menu or how much they cost. We hoped that before being allowed to work on the floor the management would check their staff knew what was on offer. The drinks and food arrived almost at the same time, some of the dishes were mixed up and one didn’t arrive at all. However, the prices are very reasonable and we hope that they will work out these problems over time. The juices on offer are orange, apple, pineapple ($3.50 each), cranberry and ruby grapefruit ($4 each). Unfortunately these aren’t fresh so we were disappointed to receive our pineapple juice with preservatives. 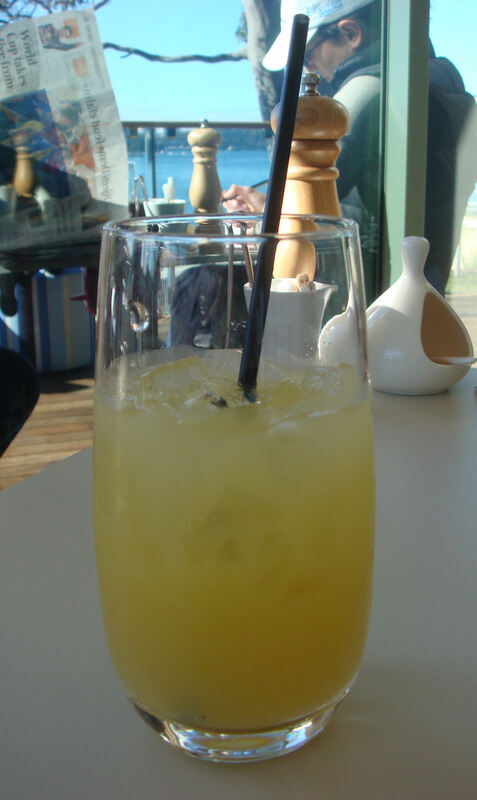 However you can see that the glass was very nice, a consolation point for that. We ordered a skim cappuccino ($3.50) but were disappointed by the slightly bitter taste. It wasn’t anything special compared to what we’d had elsewhere. 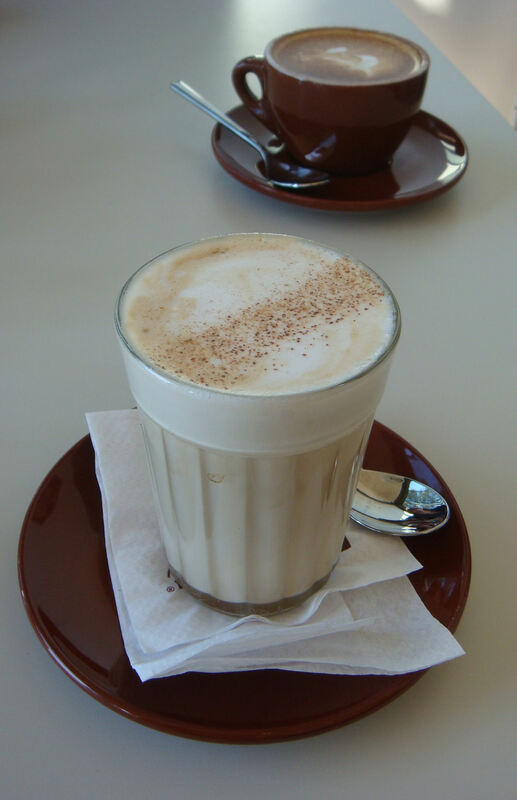 The chai vanilla latte ($3.50) looked very pretty but lacked flavour. We liked their choice of spoons; they had a nice weight to them and a good design. The Deckhouse fried eggs with slow cooked tomato, basil and pork fennel sausage ($12) should normally look slightly different to the above shot. The bacon arrived with this dish but we had actually ordered it as a side for the next dish (the poached eggs). The tomato was also missing but was delivered to us on request. 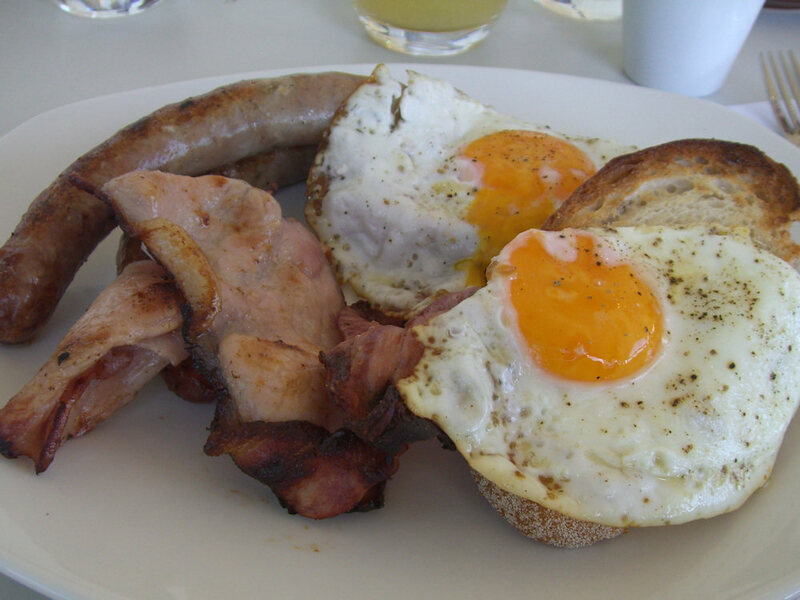 The pork sausages tasted better than the majority of breakfast sausages of most establishments. They were well spiced and decently sized. The eggs were cooked well – neither too soft nor too hard. We felt though, that to deal with the sourdough, we would have been better equipped with a chainsaw as it was very tough. 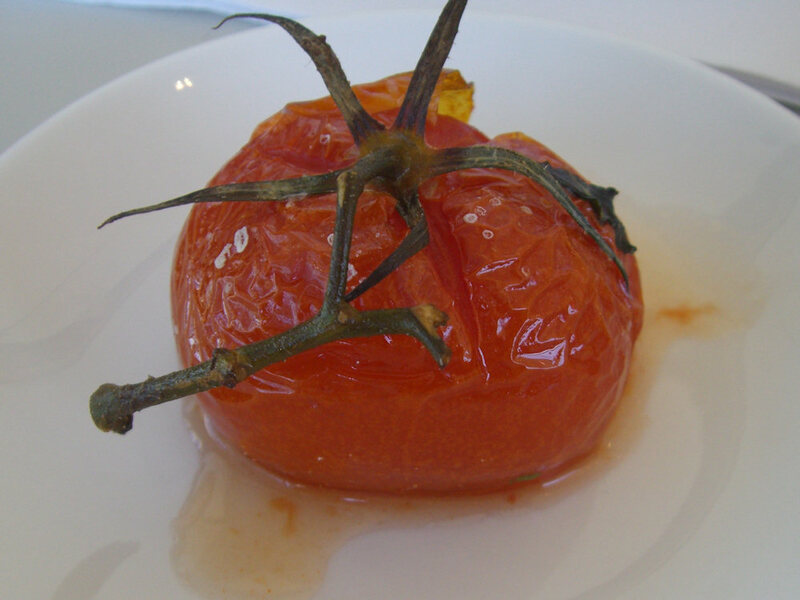 The missing tomato looked lonely when it arrived but was a welcome addition to the plate. The basil is there however there were only two small leaves and they added nothing to the flavour. The tomato was very watery and we’re glad we kept it on the sideplate or our toast and sausages would have been very moist. 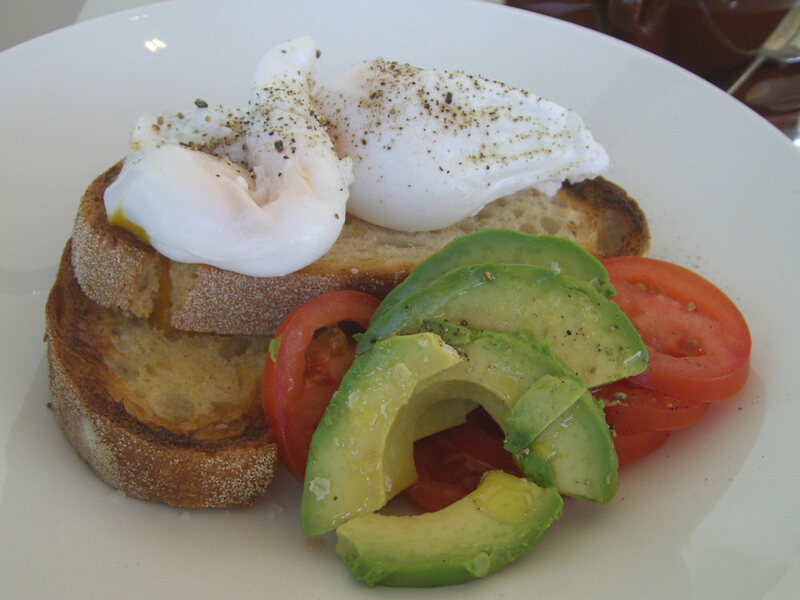 The poached eggs on sourdough ($8.50) is a simple dish that you can customise with the sides on offer. One nicety is that we were asked whether we wanted the poached eggs hard or soft, an option we’ve never had before. The eggs arrived soft as we requested. We added a side of avodaco and tomato ($4) as well as bacon ($4), the latter of which arrived on the plate above. The avocado and tomato serving was generous & fresh and pre-seasoned with salt and pepper. The Ricotta hotcakes, fresh banana and honeycomb butter ($8.50) was the stand out dish. 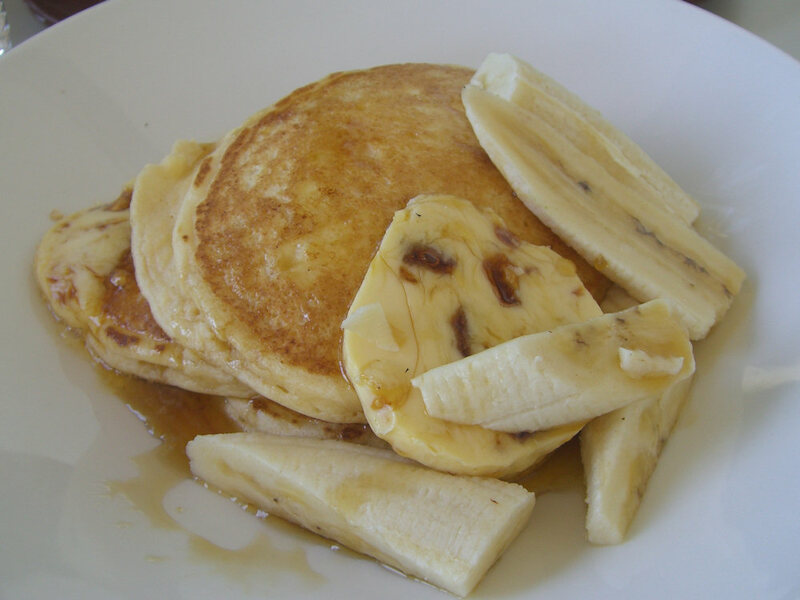 The butter melted nicely over the pancakes and the banana added some needed sustenance. The presentation could be improved but they didn’t last long on the plate anyway. 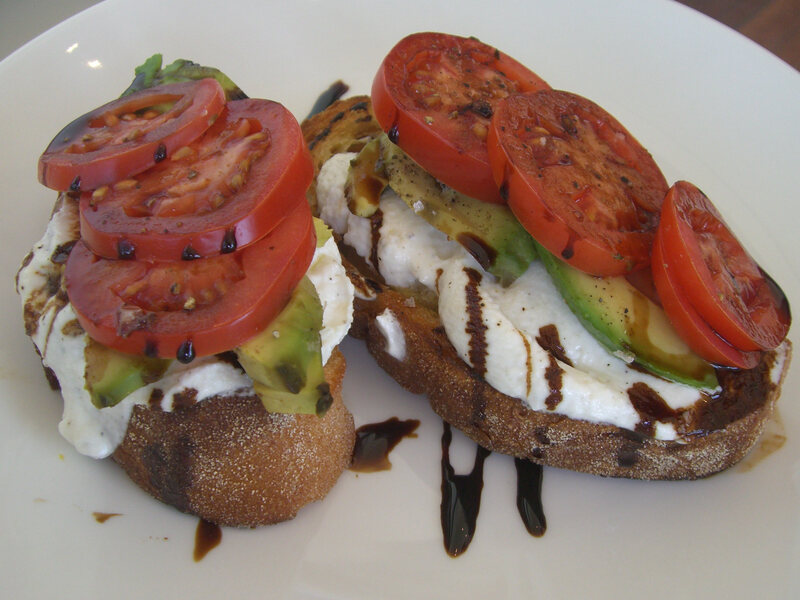 The sourdough toast with avocado, roma tomato, goats cheese and balsamic ($7.50) was fresh and filling. The goats cheese gave it a good depth of flavour and the the balsamic counteracted it with some sweetness. The price was surprising for this dish as we would expect it to cost around $12 at most other venues. The only drawback was the toughness of the sourdough. As mentioned above, it required heavy machinery to cut through it and our jaws had a great challenge of chewing through the crust. If the fruit salad we ordered arrived, there would be a picture here. Overall it was a good breakfast but didn’t live up to our expectations. Surely with big breakfast crowds on the weekends, the waiters will refine their performances. The crowd seemed to be mostly locals, consisting of retired couples and families with young children. Breakfast is served daily until 11:30am and is also open for lunch. If you’re planning to go, look it up on our map below first because the signs are very small and you might start to panic from hunger. 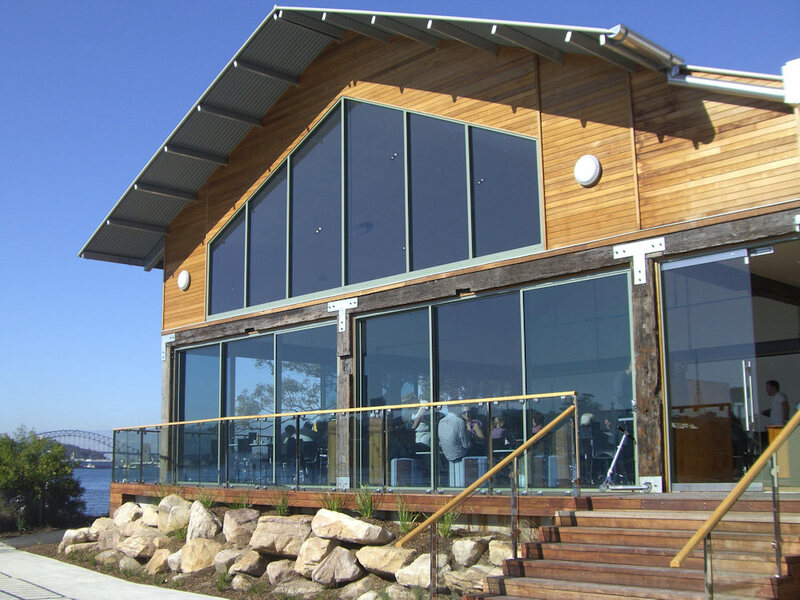 As a side note, the location and space of the Deckhouse Restaurant would make an incredible location for a wedding reception. If you do make the effort to get to Woolwich Dock we recommend taking along a picnic blanket and a book. There is gorgeous parkland around the foreshore and after a big breakfast, all you’ll want to do is nap in the sun. This entry was posted in Sydney - Inner West and tagged Dog friendly, Outdoor seating, Water views. Bookmark the permalink.